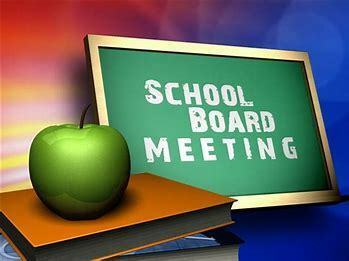 The September regular school board meeting is scheduled for Monday, September 10 at 8:00 pm in the school library. Use the following link to access the agenda. The agenda can also be downloaded from the school website by going to documents, our district, school board and then select the folder for meeting agendas. Prior to the regular board meeting at 8:00 pm the tax request hearing will be held at 7:30 pm and the budget hearing at 7:45 pm.